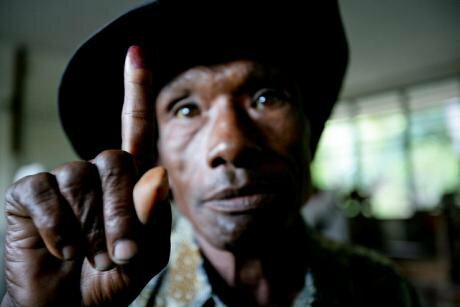 Early-morning voter showing inked finger in Dili,Timor-Leste. Flickr/ UN photo. Some rights reserved. In the aftermath of the Brazilian victory of Jair Bolsonaro in 2018, the role of commercial social media companies in electoral success, and their powerful influence on how political processes become polarized, were thrown into relief. They had an impact on forging the victory of political parties, or leaders, once outsiders. These trends are now the rule rather than the exception across democratic societies. What the world’s news media has portrayed as exceptional, such as the alleged foreign interference that led onto the defeat of Hillary Clinton in the 2016 US Presidential elections, or in the same year to the victory of the Brexit vote in the UK, has become an identifiable pattern in all elections since then. With the increased popularity of social media and the internet, advertising techniques and online campaigning have been adapted in order to leverage the massive amount of data available on specific individuals. These new advertising techniques use data that is available online, machine learning, and psychological research for targeted advertisements. These are now not only based on fine-tuned demographic data, but also on data from our online behaviour. Missing data points are often completed by relying on similarities with other users, or customers who have a larger data footprint. Because political campaigners want to use the most effective advertising techniques available they have begun to use these data-driven marketing approaches as well. But what does a data-driven campaign look from the inside? And what provisions are there, at each stage of this sort of campaign for preserving voters’ freedoms, and ensuring fairness during the campaign and the election; do data-driven campaigns take full account of voters´ digital rights? Over the last months, the “Data Politics” project managed by Transparency Toolkit has been developing a wiki to collect information on vendors offering digital services for digital campaigns. The aim of this repository is not only to show the scope and variety of actors involved in political marketing, but also to provide a collaborative tool to help further research into the political marketing industry. So far, “Data Politics’ has identified hundreds of companies profiting from different stages of a political campaign, fuelled by data and marketing tactics. The archive offers aggregated news and references of up to 300 vendors involved in different phases of a political campaign, illustrating a phenomenon that goes well beyond the infamous Cambridge Analytica scandal. While the initial research looked at Mexican vendors, the aim of “Data Politics” is to increase its sources. To influence voters, it is first necessary to establish who people are and what they think. This is done by collecting lists of voters, demographic data, and data on opinions, beliefs, behaviour, or concerns. That can be done through accessing official data, like the lists of voters released by electoral authorities, publicly available data, like the census, but also commercial data and data gathered for political purposes. The problem at this stage is the blurring of the line between data gathered for political purposes and data gathered for commercial purposes that involves the increasingly refined profiling of consumers’ habits and preferences. This information is now being sold on to those running political campaigns. These ‘owners’ are often intermediaries, which is where the emerging business of data brokerage is starting to play a formative role. An interesting example is the case of a survey company in Xochimilco, Mexico, and an unprecedented effort, linked to Cambridge Analytica, to provide free internet for previously unconnected communities in Mexico. This began in Tizilingo, a town so small that it does not appear on Google Maps. Though none of the residents have a personal computer, roughly 60 of them now have cell phones, many of which are able to connect to the free network. So, for many, free internet-access came before running water. So, for many, free internet-access came before running water. But what Pig.gi did in that tiny 100-person community in southern Mexico City, in apparent coordination with Cambridge Analytica, blurs the line between altruism and exploitation, and the hidden cost of free internet-access, which poor communities in places like Mexico, let alone in other parts of the world, do not fully understand. Increasingly we are seeing exploitative data-collection and repurposing practices being tried out on the most disadvantaged populations. At first sight, the project appears charitable, but the true trade-off is the community's data. Electoral authorities and data-protection authorities have inadequate oversight in situations where this sort of tool is deployed to monitor and influence the views of the poor, who are often swing voters. Meanwhile, tech giants have become also central to the whole data collection process. Social media websites are fantastic sources of information about voters. They may be used to gather demographic data, monitor opinions and conversations, and collect other explicitly expressed information. Additionally, new data can be constructed through inference processes; studies have shown how personality traits, political views, and other characteristics can be inferred from data such as Facebook likes. There are also Social Listening Companies specializing in monitoring, aggregating, and analysing discussions on social media about a particular topic, candidate, party, or brand. Social listening companies collect data from social media websites by using public APIs, running web crawlers, or simply buying the data. They then use their own tools or commercially available software to examine trends and to identify users with influence. The other type of companies are data brokers, collecting information about people from a variety of sources, including social media, government records, and private companies. These companies can often take limited information, such as a list of customer emails or social media accounts, and combine it with more detailed contact information like purchasing behaviour, demographic details, and search and browsing data about a person on the list. The amount of information available for data brokers depends on the regulations of the country in which they operate. While not very varied and accessible to campaigns, the newest actors in this data collection race are Political Psychology Companies. Political psychology consultants construct surveys to gather data on voters and develop more complete psychological profiles. These services range from collecting simple polls about which candidates people will vote for to conducting surveys on people’s opinions and beliefs. Campaigns or full-service data-driven marketing companies often hire political psychology companies to conduct background research that aids in building profiles for voter targeting. Those are the least accountable companies to date. The demographic data, psychological profiles, and other information obtained during the data collection phase is combined and used to segment audiences into smaller groups. The information accumulated during the data collection phase is saved either in the same database software used to manage the voter lists acquired in the first phase of the process, or in a different piece of software. Where possible, the datasets are merged to develop more comprehensive profiles of individuals. Some voter database programs may also include visualizations of voter data such as maps and charts or campaigning tools that leverage the data, as showcased by the successful campaign of Emmanuel Macron, using the services of the French company Liegey Muller Pons. Due to the complexities of data-driven political marketing, there is an ever-increasing need for companies to bring all steps of this process together into a complete solution to assist campaigns, parties, or candidates. This is the role that companies similar to Cambridge Analytica fulfil. The main value these groups can offer is by combining several of the datasets from the first phase of this process with the delivery techniques in the last phase of this process. They may do this through a mix of their own staff, in-house tools, software created by other companies, purchased data, and partnerships with other organizations. Full-service political marketing companies range in scale from small companies helping with local campaigns to large, international companies working on many high-level campaigns each year. International companies often work with local companies to gain familiarity with local context, or as a cover to hide their involvement in elections. Political marketing companies providing a 'complete package' of solutions may offer very different combinations of services. Some of these companies follow all electoral regulations and data use policies, deliver advertisements that are identifiable as such, use positive advertising techniques, and operate transparently under their own name. Others misuse data, manipulate opinions using sneakier techniques, create advertisements that prey on fears, engage in dubious practices such as blackmail, and hide their involvement in elections by working with front companies. The data sources and advertising techniques they use are dictated by local context, expertise, partnerships, and varying ethical standards for data-protection. Non-full service companies may also fall anywhere along this ethical spectrum. Building comprehensive profiles of voters enables campaigners to then divide these audiences into finer-grained segments so that each can be used for specifically targeted advertisements. After these segments are identified, advertisements that are tailored to the opinions and concerns of each sub-group need to be created. Microtargeting is one of the techniques where full-service companies excel, precisely because this requires combining data from many sources with a variety of message delivery mechanisms. No country has yet developed anything like either the legislation or the skills to conduct this level of evaluation and enforcement. At this stage of development, electoral and data protection authorities are still largely absent, not yet enabled to inspect and evaluate the practices of vendors of any given political campaign or the data that they use in their campaigns. No country has yet developed anything like either the legislation or the skills to conduct this level of evaluation and enforcement. This leaves all elections open to the most dangerous and neglected manipulations of opinion, distorting their fairness. There appears to be no political will to address the human rights implications of data-driven campaigns and the business model driving them. After electors – audiences – are identified and segmented accordingly, advertisements and other forms of persuasion can be delivered through a variety of channels in order to influence how they vote. On top of the official political advertising outlets, commercial social media websites offer additional opportunities for campaigns to deliver messages both directly from their official accounts and indirectly through bots and trolls. While advertisements can be displayed on a variety of websites, by using Google Ads for example, social media websites are popular choices for campaigners. People spend immense amounts of time on social media throughout the day, so it is easy to reach voters there. And while advertisements on social media are generally labeled as ‘promoted content’, a study found that 32% of people do not notice these labels and treat advertisements very similarly to content published by their friends. Companies providing help with content management on social media are also widespread. These companies may create content for a variety of social media platforms to be spread directly from the social media accounts of the campaign headquarters, or candidate. In some cases, campaigns may manage this aspect themselves, but specialized companies that offer traditional social media campaigns as a service also exist. These companies may also use other techniques such as advertisements, bots, and trolls as part of a comprehensive social media strategy. There are also targeted advertisements paid for via official channels, often served up to people based on their personality, browsing or purchase history, demographics, or other attributes. The level of sophistication here varies from generic advertisements shown to many people to highly targeted messages shown many times to people from small audience segments. The targeting may also be further adapted based on engagement with past advertisements. This last stage is the most worrying from the point of view of digital rights, as it is the most unregulated and the least transparent stage. But it is also the moment that offers openings for electoral authorities to make reforms that can ensure that these sorts of digital technological advances cannot be used in ways that are profoundly detrimental to voters’ freedom of thought, or become systematically exploitative ways to campaign that undermine free and fair elections. This is the moment when data protection authorities, and consumer organisations, could play an important monitoring role e.g. by guaranteeing that all parties have equal access to the same data. This is one starting point. Second, to ensure that personal data collected for advertising and marketing will not be re-used for political purposes. This separation, between commercial and electoral uses of our data footprints, is important. It is the only way to ensure that political parties can be held to account for their investment in data-collection infrastructures; requiring them to keep within legitimate political expenditure ceilings, and able to show that their data-collection methods have been ethical under human rights law. Municipal elections in Tunisia, May, 2018. Flickr/Congress of local and regional authorities. Some rights reserved. The quality of an election in democratic systems is judged by fairness and attention to due process to ensure freedom to choose. These technological developments in online contexts force us to re-examine if the current safeguards are good enough to keep a fair game among those political forces that have access to the latest technology and sophisticated datasets to target their message and those who do not. Current levels for political parties’ electoral expenses were designed with the analogue sorts of information and outreach from pre-internet days such as billboards, posters or airtime. But election campaigns have changed. Now political parties are moving to invest in far less easily accountable campaign tools, such as data infrastructures and the algorithms that allow them to target voters. Campaigns based on large data sets, sophisticated software and a combination of online, algorithmically driven advertising techniques are defining investments for future political campaigns. What will happen to those who cannot afford such an investment? How can future campaigns be equal and fair between candidates if there are such inequities in access to datasets and supporting systems? How can future campaigns be equal and fair between candidates if there are such inequities in access to datasets and supporting systems? We are at an alarming distance from rising to these requirements, given the number of countries lacking even basic privacy and data protection laws. Regulators and those with the remit to ensure that elections remain fair and free did not listen to Edward Snowden’s warnings in 2013 about the danger that the misuse of personal data has on the fundamental rights and freedoms of the individual, and on democratic processes. Back then, it was already worrying to learn how commercial technologies and devices used daily by the average person were being turned into weapons of surveillance, manipulation, and tools for taking advantage of what the authorities, and companies know about internet users in a variety of situations; e.g. spying on humanitarian missions, gaining unfair commercial and strategic advantage by infiltrating the computer systems of rival parties during diplomatic or trade negotiations. Even then, seeing the potential that these technologies have to disrupt democracy and the way they have been used by powerful states should have sent a warning to others. But, besides the GDPR reform in Europe, such revelations have only accelerated the regularisation of many illegal activities by spy agencies. The Cambridge Analytica scandal only served to highlight the existence of this new reality, one that is hard to face: the strategic use of digital and networked technologies to weaken the need for all democratic processes based on due consultation, deliberation, and consideration. Besides the GDPR reform in Europe, such revelations have only accelerated the regularisation of many illegal activities by spy agencies. Cambridge Analytica was not an isolated actor and the US election was not exceptional, but the event has helped us to expose a vastly unregulated and prosperous industry that, at different stages of the political campaign, with or without authorisation and often without any scrutiny, utilises so-called public data to shift votes in the same way that they use our personal data to sell us products. Inaction is no longer an option. These events have shown how commercial platforms have a visible conflict of interest given the different roles they fulfil during elections. Social media platforms, and web browsers are becoming a key actor, significant data-vendors during elections. Yet they have yet to develop proper transparency policies and responsible best practices in order to demonstrate their impartiality during political campaigns. At present they are impossible to audit under current global regulatory frames. Moreover they rely on secrecy as a trade advantage. - For this reason full algorithm transparency is also an important element to ensuring that no unfair advantage is given to any candidate at any given moment in a political campaign due to how much personalized and targetable data they can afford to buy from such vendors. - Campaign teams should also be required to disclose the types of data they are using in their campaigns, the source of the data, and its planned use. A partnership between consumer associations, data protection authorities and electoral authorities can also monitor the use of commercially collected personal data in order to keep data sets separate and accounted for. The problem nowadays is that, instead of setting limits, both electoral authorities and the general public through news media reports are demanding that social media companies actually do more, e.g. take measures to address political violence, cyber-bullying, or organised efforts to disrupt campaigns by foreign actors. In the current climate these contradictory demands lead to increasingly complex conflicts of interest. This raises the question of whether it is possible for commercial platforms to partner with human -rights and electoral watchdogs, as well as law enforcement authorities, in order to rapidly respond to potential hijacks of political campaigning spaces in order to intimidate or manipulate voters. And if so, how could such a partnership work when commercial platforms do not want to divulge their techniques? - Changes to the law, including the requirement that commercial operators open their “black box”, will take time and political will. But one immediate response could be platforms voluntarily opening up their data sets to independent researchers interested in studying the aftermath of any election. Currently the price and availability of the data is out of reach for researchers, or independent auditors. - Governments also need to be both adaptable and agile to meet the challenges posed by these technological innovations in electoral campaigning. There are new threats and new repertoires of techniques, even tricks that campaigners can access. These require more distributed monitoring, engaging digital activists. 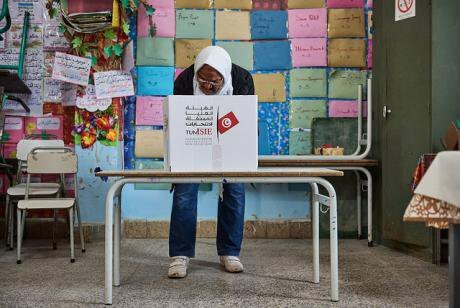 Civil society and electoral watchdogs, and electoral observation missions can all play a crucial role in preserving democracy in the digital age by updating and adapting their electoral watching mechanisms and systems. This implies a need for human rights-informed, and tech-savvy volunteers as well as civil servants. - Improving transparency and accountability for campaigning in digital and networked settings could include requiring a list all the vendors and the products and services used for data-driven campaigns (not just the top-level ones who have the campaign contracts but also where they get their data from and who they contract with). - Full audits and disclosure of the details of the data infrastructure being deployed by political parties should also become the norm. This means an improvement in ways to keep accounts of political spending on data management, datasets and the range of segmenting techniques now available for election campaign teams. - Digital, and online Privacy requirements, and the role data protection authorities can play, are also key to preserving the freedom of voters to make their minds up without unwanted manipulation through their social networks of choice, their mobile phones, or those of their friends and families. Monitoring the use of data sets that political parties use in their campaigns is key to achieving this. - By raising awareness amongst voting publics about the need to monitor how messages are framed in new ways for different demographics during political campaigns. - Ethical design: despite the worrying aspects of data-driven campaigns to date, with adequate public policies in place and coordination among different authorities, those could be transformed into opportunities for the more effective uses of resources, e.g. for outreach that can enhance political participation. For instance, digitally based campaigns can be cheaper for smaller political parties and independent candidates, if they have adequate skills and training. Suitably designed bots, not those designed to derail democratic electoral processes, can be developed to reach out to abstaining populations, encourage them to learn about their rights and to vote. The electoral authorities for civic, rather than commercial purposes can promote these designs. - Other measures could include electoral authorities banning the sharing of marketing intelligence and consumer profiles with political parties, to avoid covert forms of behavioural manipulation through the exploitation of voter’s digital footprints. The key across all these sectors is to adopt effective and efficient measures early enough, not taking democracy for granted, and recognising it as an evolving system that needs to be resilient and updated constantly.